Recently, a couple of my friends are busy with their new Home Renovation. It reminded me of the time that I was working on mine. It was simply information overload. What a headache! We just had to rely on our Interior Designer and trust their knowledge and experience. Of course, there were always moments that strike us whether they were "smoking" us a not. I guess we did not have much choice as we were busy with our work commitments and hard to verify the advice they gave. Hence, we just gave them the benefit of the doubt that they were honest with us. On this rare opportunity that I actually get to interview Justin From Malford Ceramics Pte. Ltd (Malford Ceramics Pte. Ltd). With more than 20 years in this industry, Malford Ceramics Pte. Ltd currently specializes in tiles, natural stones (e.g. Marble and granite, Mosaics, and Compressed stones). Read ahead for our 6 questions on Tiles in Singapore. Hopefully this will help you to understand better on tiles and help in your Tile Selection for Your Home. 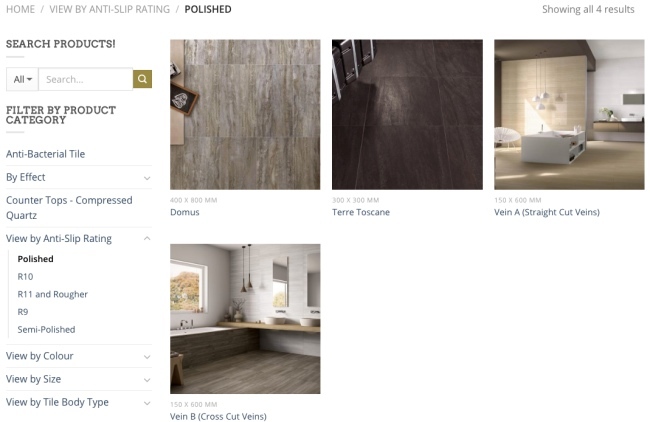 EatDreamLove: What are the different types of tiles available in the market? 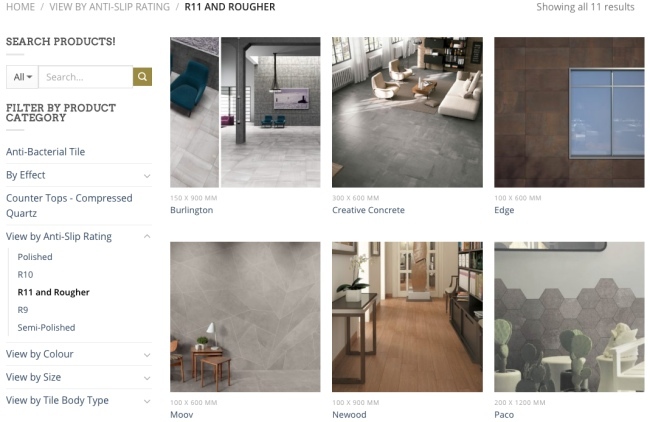 Malford: There are 4 types of tiles available in the market that all home owners should know of. Each type of tile has its own characteristics and knowing the facts of these tiles would be very essential in your tile selection! These tiles have a consistent composition of material throughout the whole body of the tile. When you look at the sides and the back of the tile, you should see that it has the same colour and patterning as its surface. These tiles are extremely strong, durable, and have a very low rate of water absorption. They can be used anywhere, even for a car park! However, designs for such tiles have to be pretty consistent and therefore, are quite limited. These tiles only have a consistent composition of material from the surface of the tile till about half the thickness of the tile. The bottom half would be an ordinary white porcelain body. They are an economical alternative to Full Body Homogeneous Tiles. While they might be slightly weaker, the overall advantage is that it is cheaper. If there is a chip on its surface, you would not see an unsightly white spot and still see the same colour. Although these tiles are weaker than the 2 mentioned above, they are very popular because they can achieve the type of designs that they cannot achieve. These tiles simply have a Printed Glaze over a Porcelain Body of the Tile. With high quality digital printing, designs such as timbre and marble can be beautifully achieved. It is also difficult to tell the difference between these tiles and the natural material itself. It is better if the glaze is printed on a coloured body, so that a chip on the surface of the tile would not be noticeable. (E.g. If it is a brown timbre look tile, the porcelain body should be brown too. The body would be made of porcelain while the surface would be a durable printed glaze.) There are also Glazed Porcelain Tiles without a Coloured Body. These tiles are normally produced by China so that their rates may be kept competitive. Glazed White Body tiles should be avoided in areas of high traffic. These tiles are only Suitable for use on Walls. They have a High Rate of Water Absorption and they are Extremely Weak and Porous. Ceramic is a less durable material than porcelain. 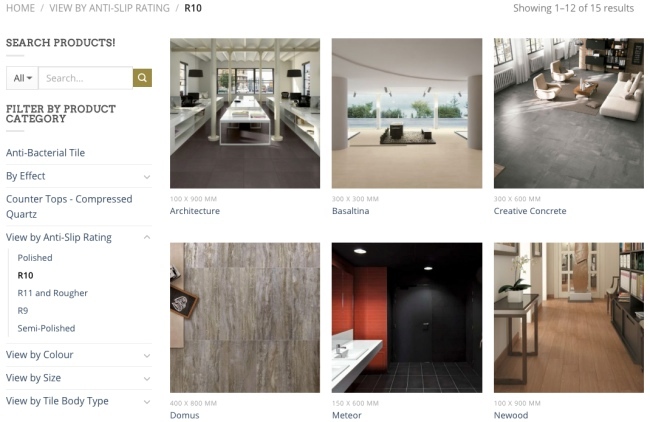 EatDreamLove: What are the types of tiles are suitable for Singapore? Chinese factories produce tiles based on the demand of a particular design. If a particular pattern is very popular, they would produce a huge quantity to supply it to distributors. Once the trend has changed, they would stop production and move on to the next popular design. Hence, if you choose a Chinese made tile, it might be difficult to replace your tile after maybe 7 years later. This is because the Chinese would have to run a full production schedule to produce a large quantity of tiles just for that one piece. However, European factories have a standard production schedule. They Do Not Discontinue any series till a Defect is found. They also have a huge stock pile that can last for decades! Not every tile may be suitable for its desired application. For example, you should not use a ceramic tile for your toilet floors or drive way. EatDreamLove: Why some types of tiles are not suitable for Singapore? Malford: There are some new technologies that Singapore is still not quite ready for yet. Slim Tiles are just 3 mm, 5 mm, or 6 mm n thickness (Average tile is 10 mm thick). The purpose of these tiles is to save on hacking cost (which is extremely expensive). These thin tiles is Laid directly over the Existing Tiles. There have been many Complaints of Chipped or Cracked Tiles. This might be due to the Workmanship and Installation of these Tiles. The substrate (ground) has to be completely flat before these tiles are installed. Once these tiles are installed, they can actually leverage on the strength of the existing tiles to be extremely durable. The adhesives applied on the back of the thin tile have to be extremely consistent. If there is any pockets of air, that particular portion of the tile would be prone to breaking. EatDreamLove: What is the most suitable type of tile for different area of the house? 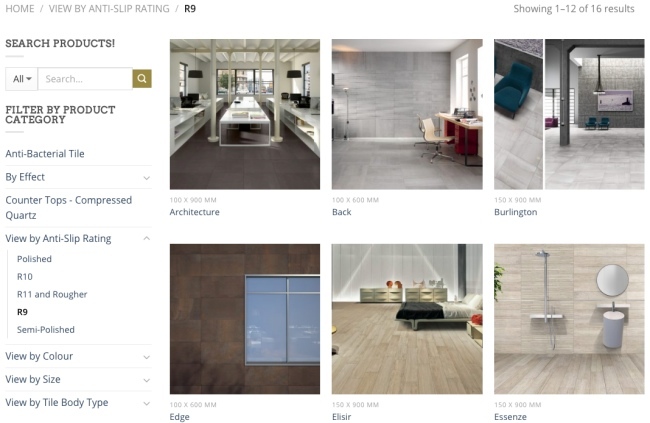 Malford: Tiles are classified based on their Anti-Slip Ratings>. No Anti-Slip Rating. Should be used Only for Dry Areas. Smooth and Matte Finish. Should be used Only for Dry Areas. Suitable Areas: All Walls, Living/Dining/Dry Kitchen/Bedroom Floors. Matte or Slight texture Finish. Generally easy to maintain. Such tiles are also Suitable For Wet Areas. Usually Very Rough and Textured. They trap dirt more easily but are Preferred for Wet Areas, especially in the outdoor or those on ramps. EatDreamLove: What is the most popular type of tile in Singapore? Malford: It depends on the type of projects. 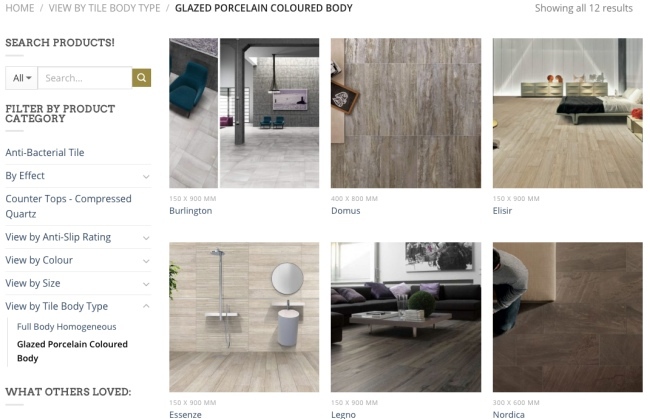 Glazed Porcelain Coloured Body Tiles are the most popular in Singapore because it can provide the home owner with assured Quality and Fantastic designs. 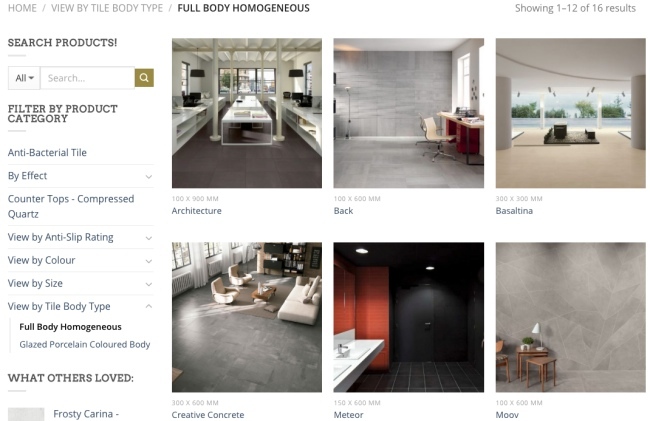 Full Body Homogeneous Tiles are still the most popular option as performance is highly valued. Become increasingly popular as they can Enhance the Elegance of Big Areas. EatDreamLove: What advice do you have for our readers on maintaining Marble? Malford: When choosing the materials for your home, it is important to know whether or not you have the time and capacity to maintain it. Natural Marble is very popular in residential homes because it Looks very Premium and Grand. It can also look seamless with a 1 mm joint width. It is a Very Weak Material. Hence, it might not be suitable for certain families. Unlike tiles, Marble is Extremely Porous and has Very Poor Resistance to Stains, Chemicals and Scratches. Dog urination, Vomit, Red Wine, Toothpaste, or even some Bathroom Cleaners may Leave a Permanent Stain on the surface of the marble. The only way to prevent this is to ensure your marble is cleaned immediately after it comes into contact with these liquids. Marble can always be Re-Polished to look as good as New, but it is a Huge Cost. For home owners looking for Lesser Maintainance, Smooth European Made Tiles with Marble Look Design would be a great option. Home owners should also look out on the Calibration of each Tile. The supplier should check with you on the tiles would be tiled together. Using a tile from factory A might have a calibration of 303 x 606 mm while using a tile from factory B might be 300 x 600 mm. If one is to be used for your toilet walls and another for your toilet floors, you would need to increase the joint widths of the tile with the slightly smaller calibration. This is a common mistake and the end result may be terrifying! Therefore, do try to Use Tiles of the Same Calibration for each Area of your Home. Above information is for reference only. Please always contact Malford Ceramics Pte. Ltd (malford.com.sg) for latest details.